1.DC pump,low voltage,safe and quiet.Outer body pump,improve efficiency. 4.Fully disassemble body,easy for cleaning. Shenzhen Honghai Aquarium equipment Co.,ltd. 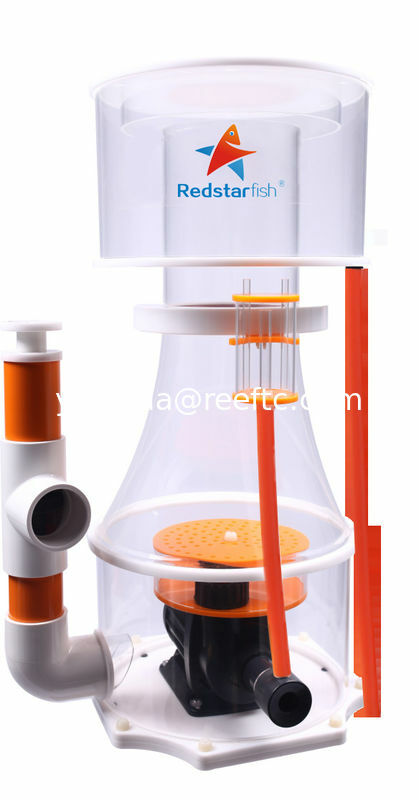 was founded in 2006, the main products include: sea water fresh water aquarium equipment, aquarium,various protein skimmer and filter, algae screen device, acrylic quarantine case, automatic water-refill, and various accessaries; The company now has "RED STARFISH" of own brands . Has faith: "innovation, and strive to forge ahead and strive to become the backbone of the domestic water aquarium, the world of technology and market, a national brand!" Please come to visit our CIPS show in Beijing this November.Our stand number is E3-E049,the Show is from Nov.17.2014 to Nov.20.2014. There will be a huge discount for the big order. OEM and small order are acceptable.